Neil "pr0lly" Hammad is the coach for 100 Thieves. He was previously the mid laner for compLexity Gaming. Neil "pr0lly" Hammad is from Atlanta, Georgia in the United States. Growing up with two older brothers, Hammad spent much of his childhood watching and playing video games, starting with Super Mario RPG on the Super Nintendo Entertainment System. As a child, Hammad would play mostly role-playing games on the Nintendo 64, such as the Legend of Zelda series and Pokemon series. As a teenager, he began playing the first three Halo titles at a semi-professional level. Eventually, Hammad began playing games such as DotA and World of Warcraft on the computer. A month after Season 1 had started, Hammad began to play League of Legends. PR0LLY became known for running a very aggressive playstyle in the mid lane, frequently trying to trade or harass the enemy laner. If trading or harassing was not possible, PR0LLY would often push and clear his lane in order to gank either top lane or bot lane. 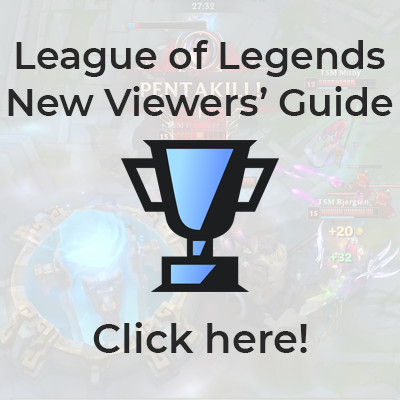 Due to his experience in the MOBA genre, PR0LLY hopped straight into ranked solo queue after reaching level 30, playing most ranked solo queue games with Kennen. After reaching 1600 ELO, PR0LLY was introduced to Lautemortis through Lautemortis's roommate at the time iviayhem. PR0LLY began to duo queue with Lautemortis, soon reaching platinum. At the time, PR0LLY competed in several Go4LoL tournaments with Lautemortis and iNoobish, creating new teams for each event. After defeating several professional players in solo queue, PR0LLY and Lautemortis began to take competitive League of Legends more seriously. About two weeks before MLG Providence, PR0LLY was approached by RFLX Gaming to join as their top laner. Deciding that the current lineup wasn't strong enough, PR0LLY invited Lautemortis, iNoobish, Arcknight14, and RedFlubber to join the team, reforming RFLX Gaming's roster. PR0LLY competed with the team in the 2011 MLG Providence Qualifiers, placing in the top 4 and securing the opportunity to play at the offline event. During his run at the qualifiers, PR0LLY and his team defeated v8 Esports 2-0 and Bro Fist Gaming 2-1. Despite falling to Counter Logic Gaming Prime in the quarterfinals, PR0LLY and his team advanced to the top 4 position due to CLG illegally using a substitute player, thus being disqualified from the event. Unfortunately, RFLX Gaming met a quick end at the offline event, falling to Team SoloMid 0-2 in the first round of the winner's bracket and subsequently losing to Team Dignitas 0-2 in the loser's bracket. After the departure of former midlaner RedFlubber, PR0LLY changed roles and become RFLX Gaming's new midlaner. Along with the rest of RFLX Gaming, PR0LLY was acquired by Team Legion on March 19, 2012. PR0LLY was unable to attend the IPL Face Off: San Francisco Showdown and was replaced by WildTurtle at the event. In Season 3, Pr0lly played in the first-ever split of the LCS in weeks 8, 9, and 10, when he joined Complexity replacing former midlaner Chuuper. He became instantly famous for unconventional midlane picks, running Ziggs (then a pick that was never seen), Malphite, and Annie in his very first week of LCS play. However, compLexity soon lost in relegations, and he was unable to compete in the LCS for the summer split. On November 23, Pr0lly left compLexity. His team cited personality conflicts as the reason for his departure. In January of 2014, Pr0lly joined Determined Gaming, replacing previous midlaner Arthelon. He stayed with the team through their sponsorship by Complexity, and the team was renamed to compLexity.Black. In March, the team qualified for the LCS Spring Promotion tournament, but they lost to Team Coast. PR0LLY finally once again qualified for the LCS in the next Promotion Tournament, this time beating Team Coast. In October, it was revealed that Pr0lly had been removed from the compLexity roster. Though the team management cited issues with his behavior, Pr0lly claimed that his behavior had not been an issue. On November 3, 2014 it was announced that CompLexity was forming two rosters, coL.White and coL.Black. PR0LLY joined coL.Black along with I KeNNy u, Xmithie, ROBERTxLEE, and Bubbadub, qualifying for the Spring Expansion Tournament via compLexity's promotion tournament participation. After a bye in the first round, the team lost 0-2 to Final Five in the second round of the online portion tournament and were eliminated. After the Expansion Tournament, pr0lly left compLexity to pursue other opportunities in competitive League of Legends. On December 10, 2014, he announced in an interview that he had joined H2k-Gaming as their coach. The Spring Split itself was relatively successful for Pr0lly and H2k-Gaming. After a shaky start, results began to pick up for the team, partly thanks to the introduction of kaSing to the roster. Impressive individual performances throughout the rest of the split helped the team to a 3rd place finish in the regular season. In the Spring Playoffs, the team beat Copenhagen Wolves in the quarterfinals, but were beaten in the semifinals in a close-fought series by eventual champions Fnatic. H2k-Gaming went on to pull off a shock victory over SK Gaming in the 3rd place match, securing themselves 50 Championship Points. Pr0lly was awarded the title for Best Coach in the EU LCS Spring Split.